i laughed so hard when you said "unpack"...yes, i am quite familiar with that pastoral term! haha and seriously, that is AMAZING she sleeps those hours and that much...wow. 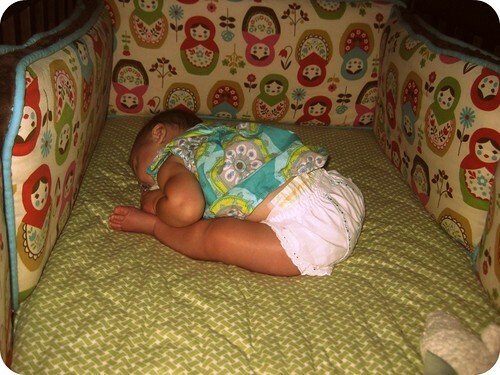 i'm not a mom (yet) but i've never heard of a baby sleeping so well! Yes, everyone it is absolutely amazing. I can't believe it myself! Congratulations on your little boy!! I know you're loving every minute of it. Basically, don't expect TOO much of a routine until he is 3 months. That's just my experience. He may surprise you and do well a lot earlier. Try to get him to take a pacifier, too. It may take him a while to get the hang of it, but keep trying. When they are that little they also have a hard time keeping it in their mouth because of the natural tendency to thrust the tongue forward. Yes, self-soothing is a great thing. I would also advise you to always put him down when he is awake. Put him down sleepy, but not asleep. He needs to learn early on that going to sleep and staying asleep is HIS job and not yours. This will save your sanity. Lael never cries when we put her down. Maybe that's her nature or maybe she knows it won't get her anywhere! Not sure! We just recently started using a sound machine to drown out any noises going on the house during day time naps. One more trick that I kind of figured out was to not go running in to get her when you see she was stirring. So many times I think Lael is waking up (from looking at the video monitor), I don't run in to get her and low and behold 10 minutes later she is sleeping again. 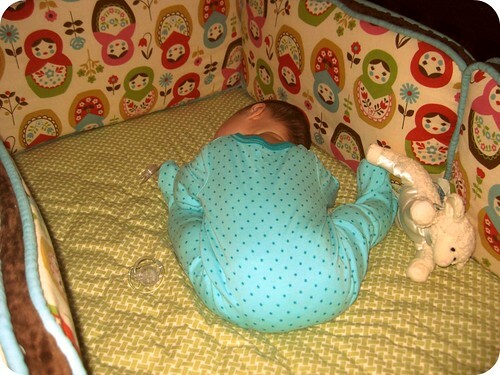 When he gets older there is nothing wrong with requiring 90 minutes of sleep/time in crib. That's just my opinion though.